Warning signs: Social-communication problems may precede depression and ultimately lead to suicidal behavior. Teenagers who have trouble with social communication are twice as likely as their peers to harm themselves with suicidal intentions, according to new research1. The work is among the first to explore the relationship between autism traits and suicidal behavior. The findings also suggest that social-communication problems precipitate depression, which can ultimately lead to suicidal thoughts or behaviors. “It’s well known that depression is associated with suicidality,” says Dheeraj Rai, lead investigator and senior lecturer in psychiatry at the University of Bristol in the United Kingdom. 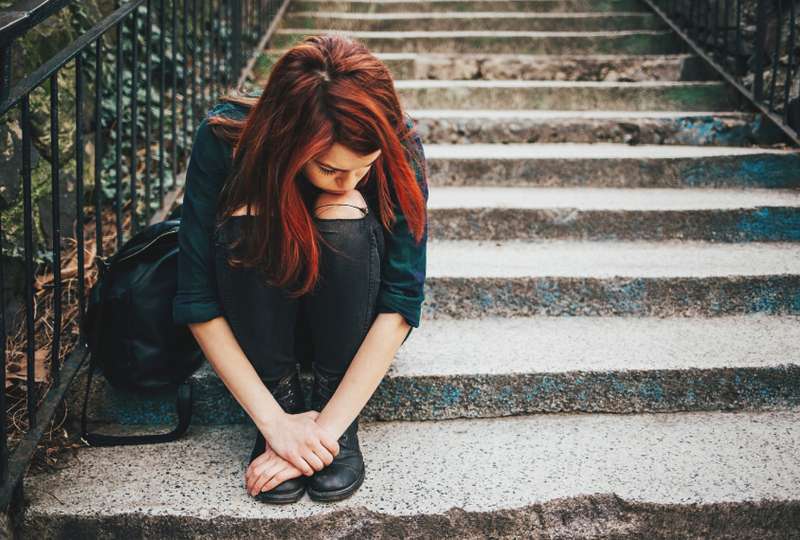 “The surprise for me was it explains only so much of the association, so there are definitely other potential mediators out there.” For example, factors such as bullying and poor emotional control can also contribute to the high risk of suicidal behavior in teens with social problems. The study did not find a direct association between suicidal behavior and autism; the sample included only 42 teenagers with autism — too few to draw significant conclusions. Still, it bolsters work showing suicide and self-harm are alarmingly common in people with the condition2. People on the spectrum may have few social-support networks and may struggle to connect with others, exacerbating their risk of suicide. Rai and his colleagues analyzed questionnaires filled out by the parents of 5,031 children enrolled in the Avon Longitudinal Study of Parents and Children. This study follows thousands of women and their children in the U.K. to investigate genetic and environmental influences on development. When the children were 7, their parents completed a questionnaire that assesses social communication. Parents also answered questions on three other autism traits — impaired social skills when the children were 3, repetitive behavior when they children were 5 and verbal communication when they were 9. When the children were 12, they completed a depression survey. And at age 16, they answered questions about suicidality, such as whether they self-harmed with the intent to kill themselves. When the researchers looked at self-harm without suicidal intent, they found that an equal proportion of children in the low- and high-risk groups for social-communication difficulties — roughly 11 percent — had engaged in such behavior. However, 12.5 percent of those in the high-risk group reported self-harm with suicidal intent, compared with about 6 percent of the low-risk group. “It’s quite a worrying finding, really,” says Emily Taylor, lecturer in clinical psychology at the University of Edinburgh in Scotland, who was not involved in the research. The study found no association between other autism traits and suicidal thoughts, plans or self-harming behaviors. The findings were published in May in the Journal of the American Academy of Child & Adolescent Psychiatry. A new tool identifies suicidal behaviors from medical records, rather than relying on clinicians to manually code the records. The algorithm accurately identifies suicidal intentions or behaviors in 85 percent of individuals, according to a study published in April3. The algorithm may help clinicians estimate the number of people with autism who have suicidal thoughts and behaviors, says co-lead investigator Johnny Downs, clinical research fellow at King’s College London. It may also eventually help researchers pinpoint risk factors for suicide in people with autism.